Unraveling utilizes an afghan with colors and patterns that are bright and bold, evocative of a particular era and social class, which I put in middle-class America in the Sixties and Seventies� basically my background. 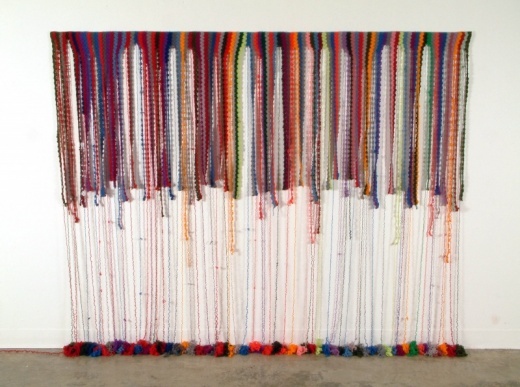 The material, yarn, is a feminine material and the piece is, in my mind, very much about females in the home. To me, the unraveling yarn is like some cryptic writing in a private diary or paint dripping from a melting canvass that is taking on new life and reforming into a new story� or a new masterpiece. 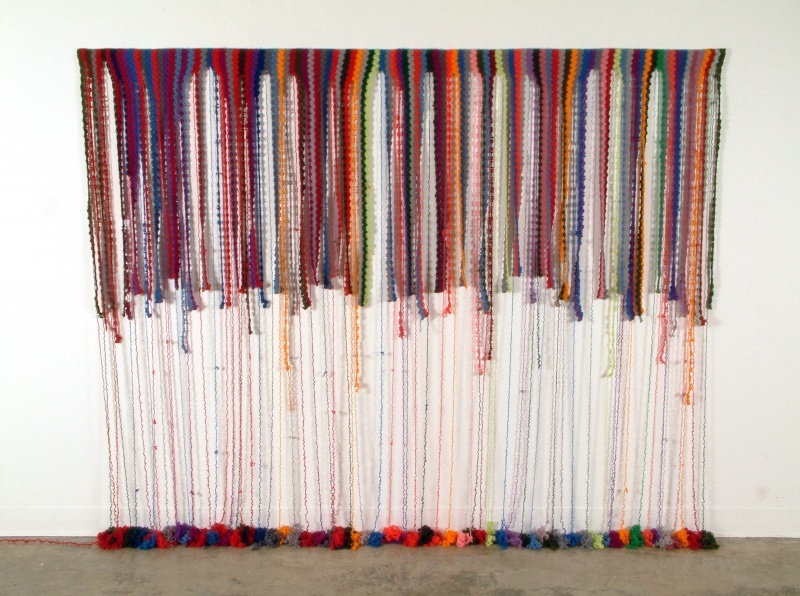 In this piece, one strand of yarn is heading out on its own, searching. 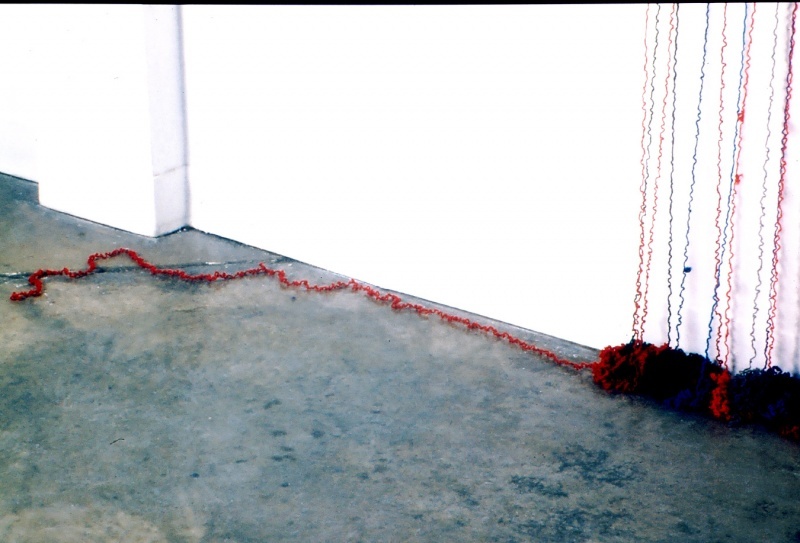 Unraveling is about something that is simultaneously ending and beginning� one of the basic processes of life and one of my favorite sculptural themes.